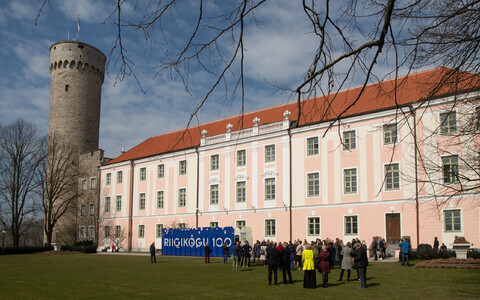 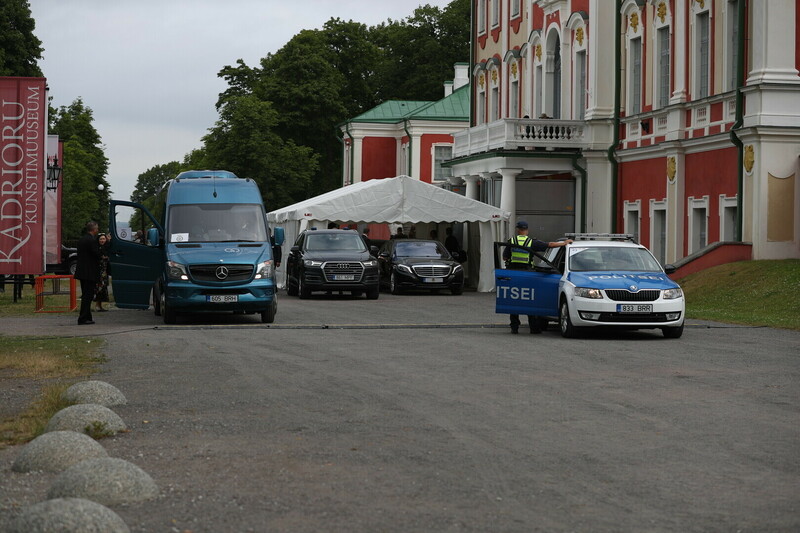 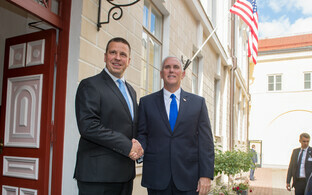 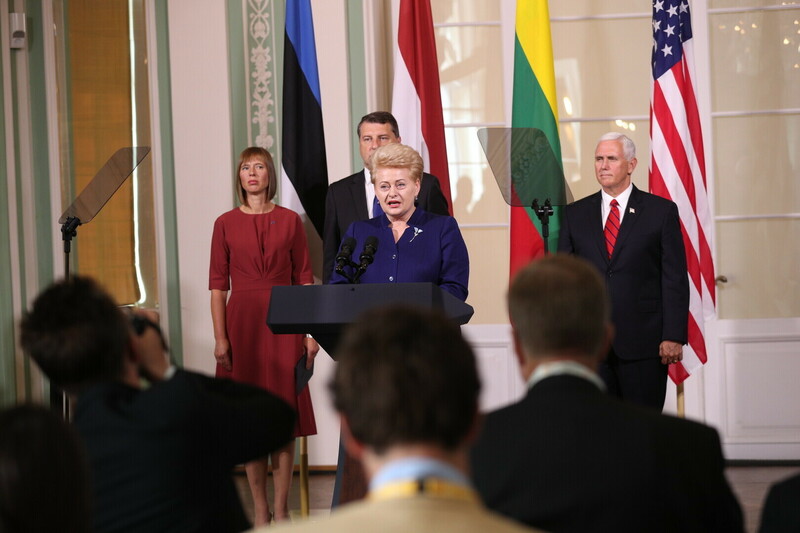 On the second day of his visit to Estonia, U.S. Vice President Mike Pence met with the presidents of Estonia, Latvia and Lithuania in Kadriorg, where they delievered a joint English-language press conference. 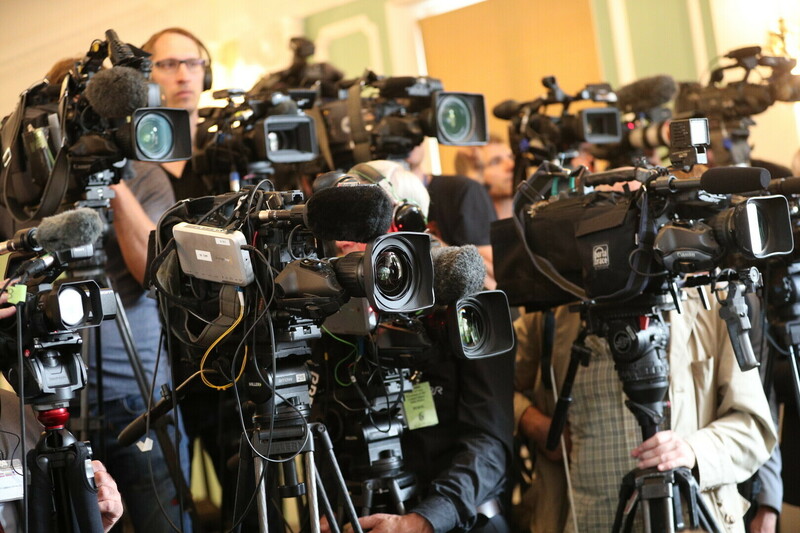 ERR News streamed the press conference live. 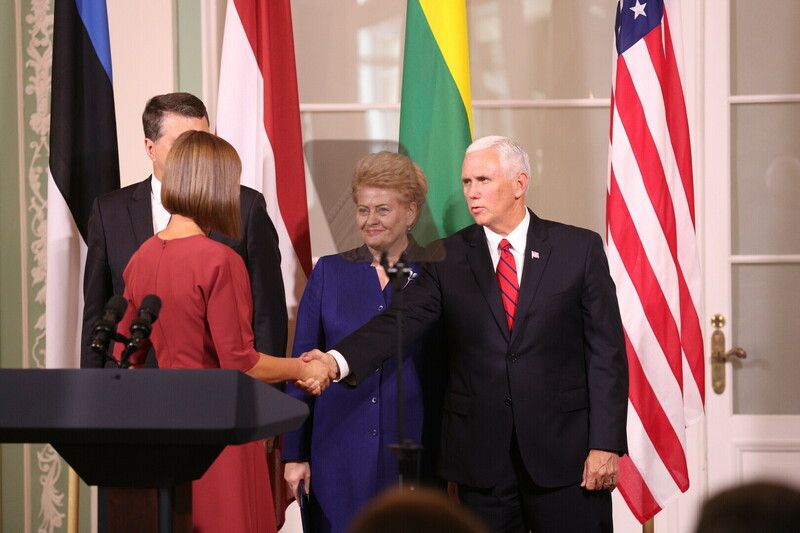 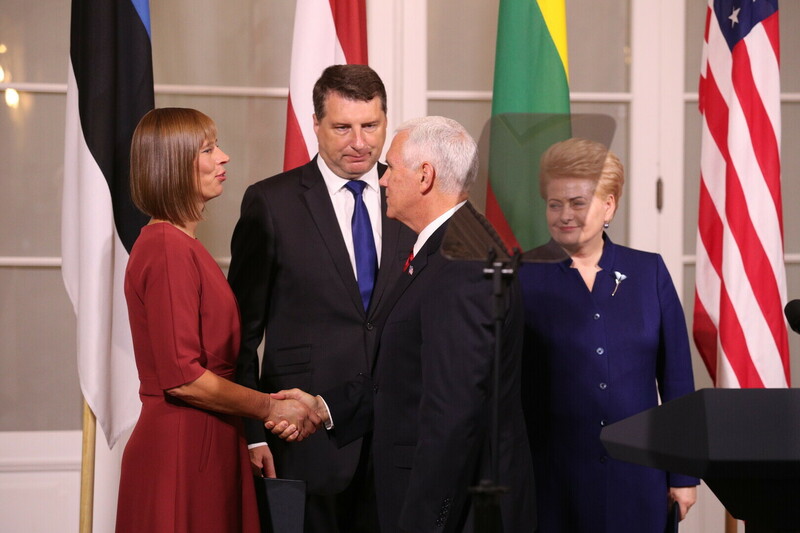 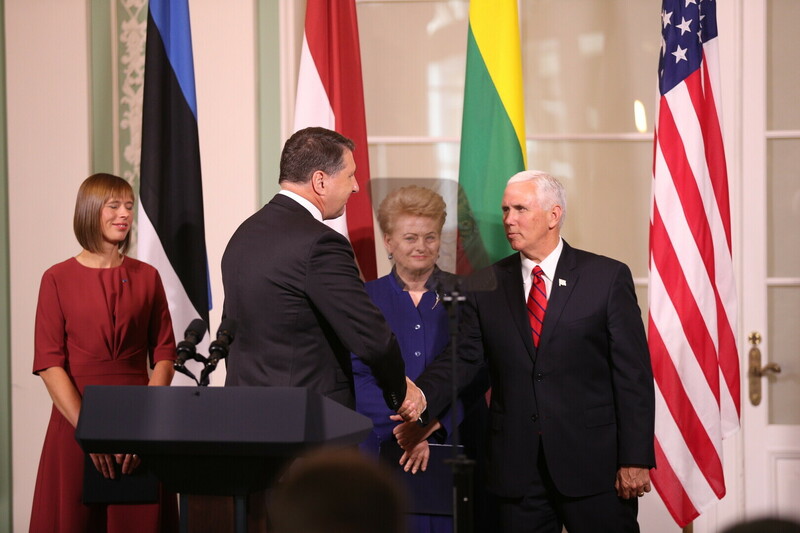 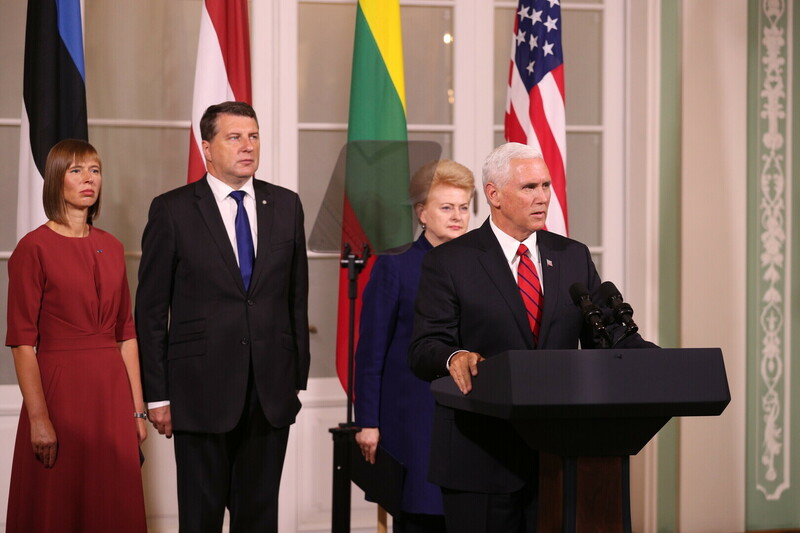 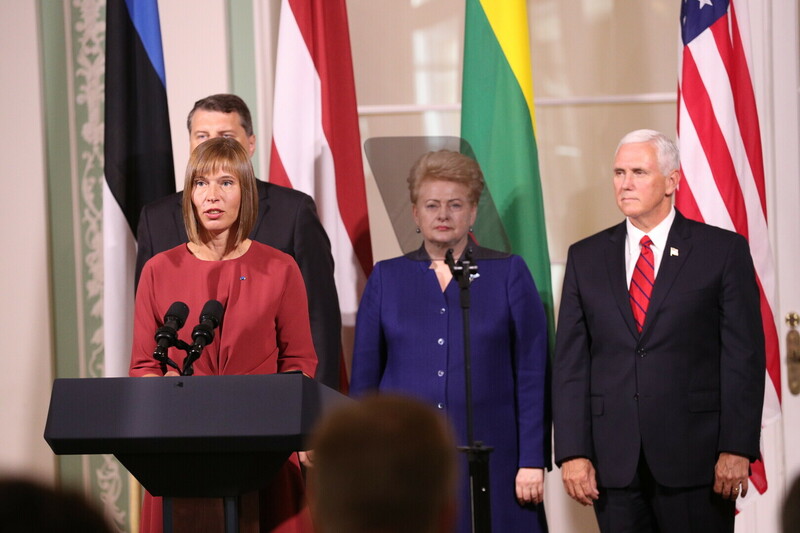 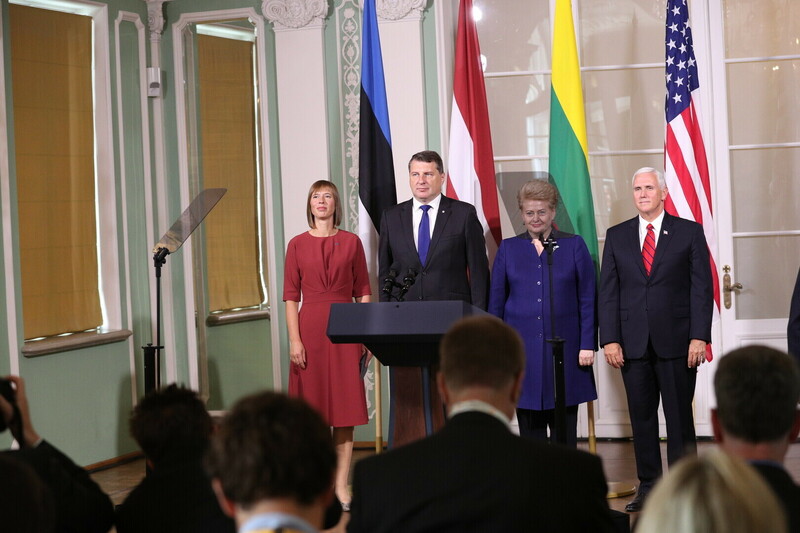 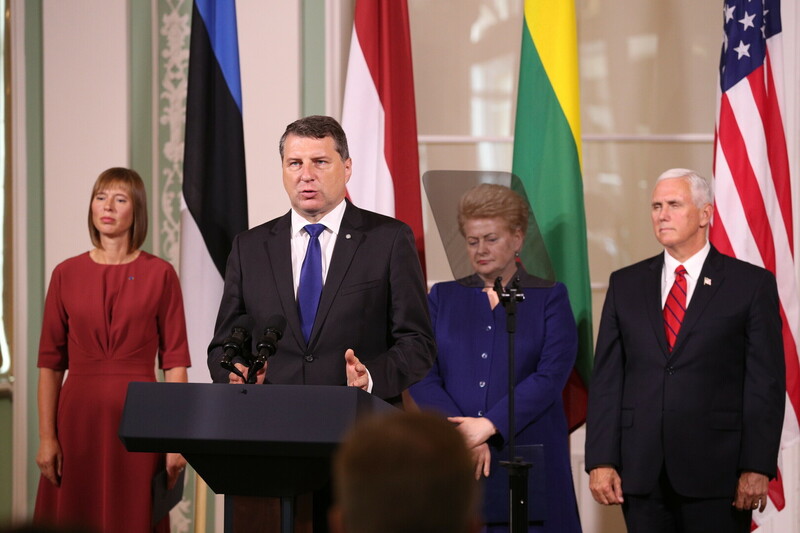 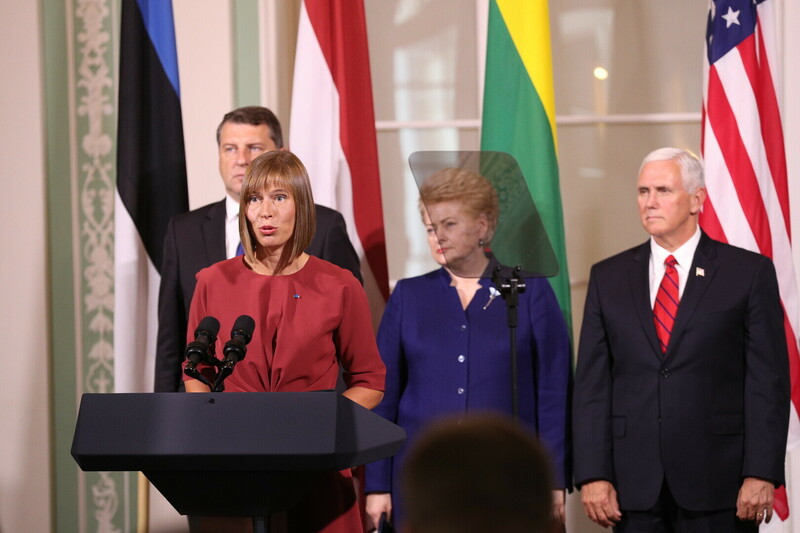 Pence reaffirmed at the joint press conference with Estonian President Kersti Kaljulaid, Latvian President Raimonds Vējonis and Lithuanian President Dalia Grybauskaitė that the U.S. supports its allies. 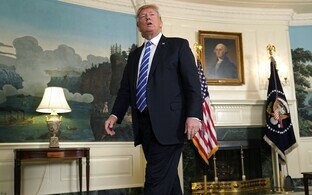 "It's my great privilege to be here today to bring a very simple message from the President of the United States of America, President Donald Trump," he said. 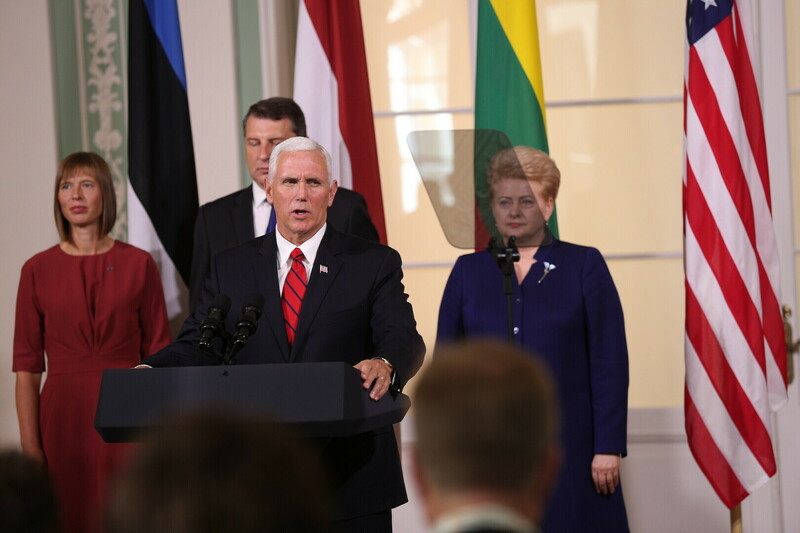 "President Donald Trump sent me here to say: we are with you. 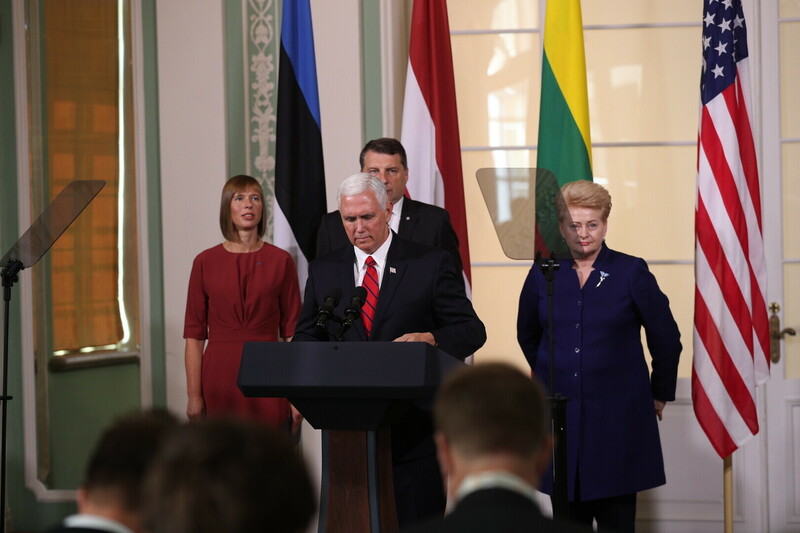 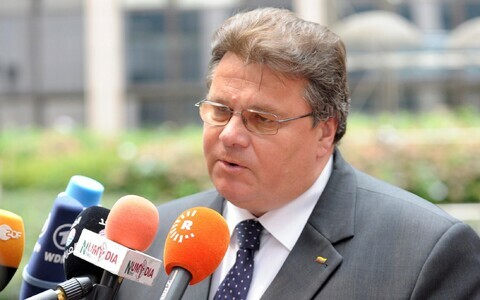 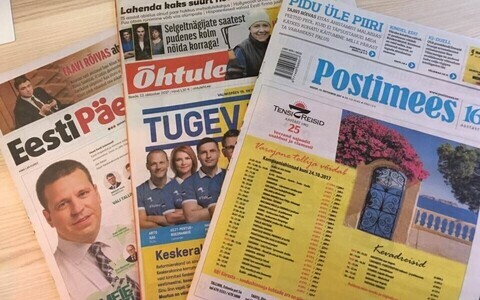 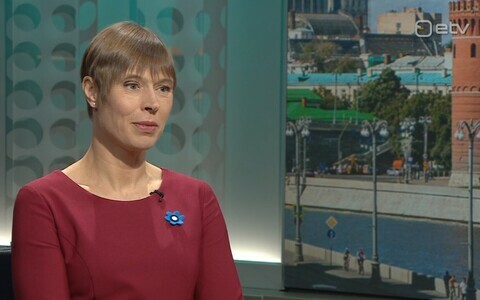 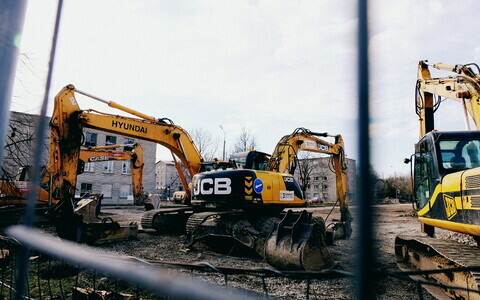 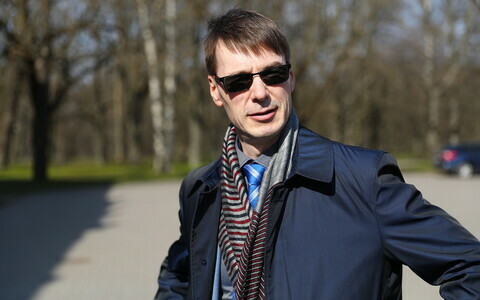 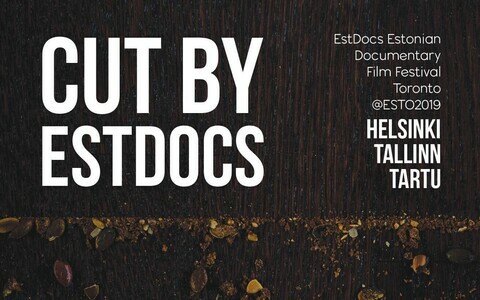 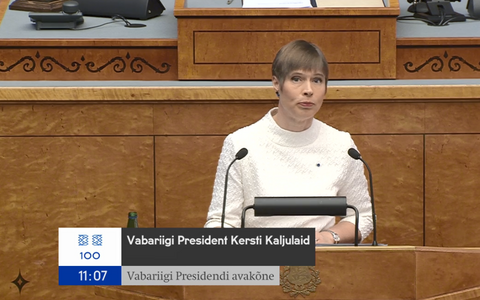 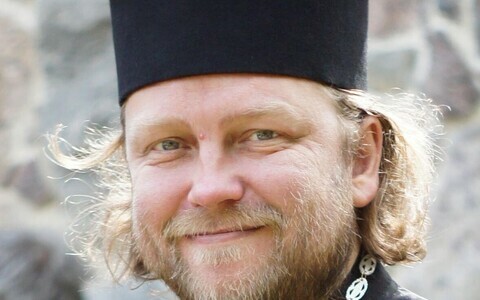 We stand with the people and nations of Estonia, Latvia and Lithuania, and we always will." 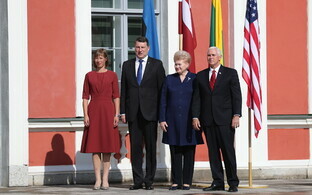 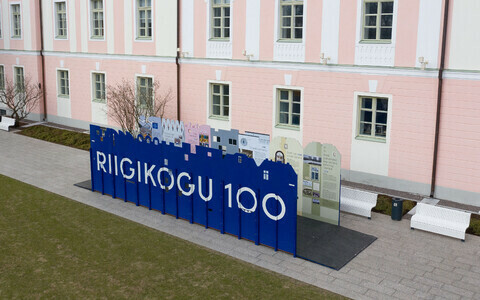 The U.S. vice president noted that the three Baltic states will be celebrating their centennials next year and recalled that the U.S. had always stood with the Baltics as they fought for their independence, including with its policy of de jure and de facto non-recognition of the Soviet annexation of the Baltic states. 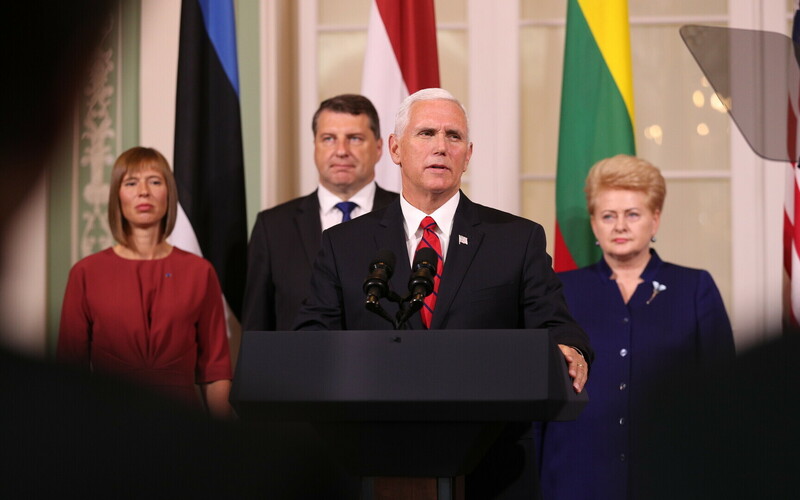 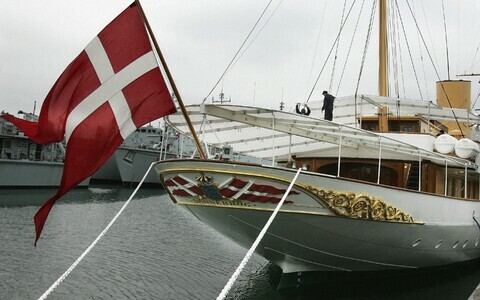 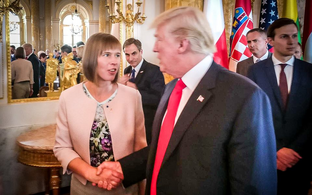 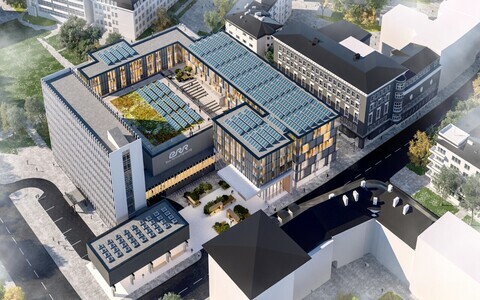 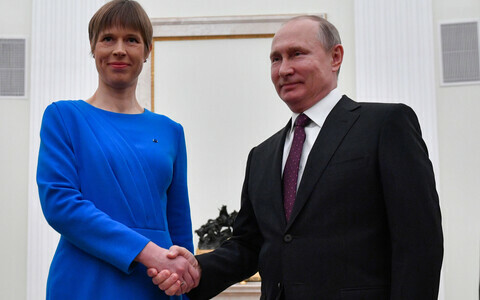 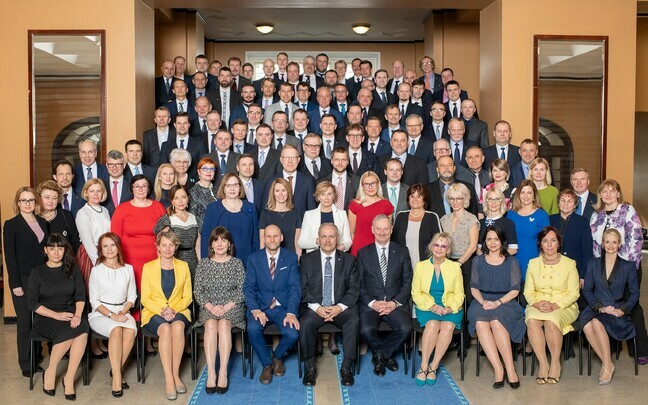 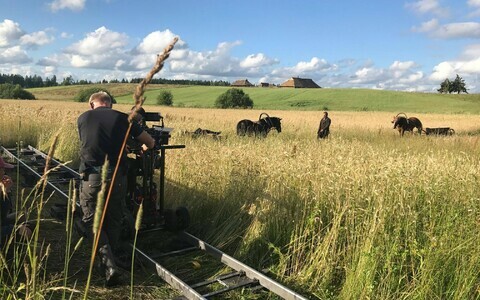 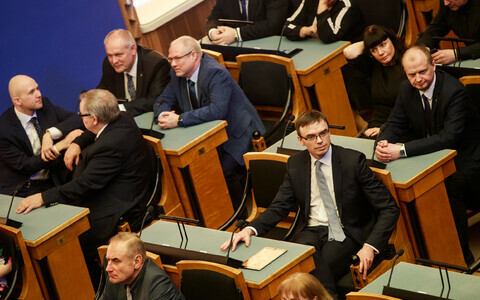 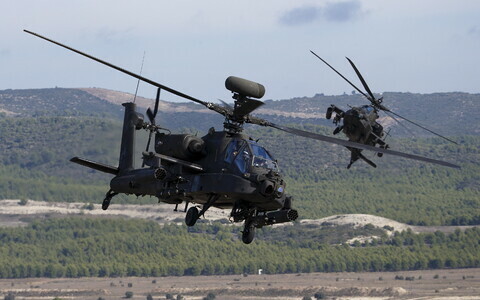 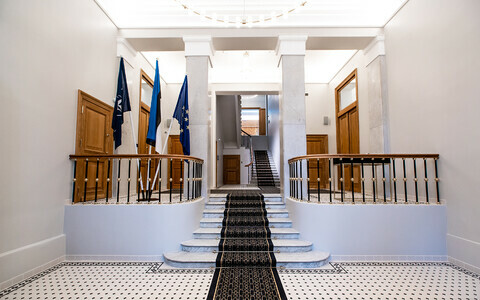 Pence commended Estonia's contributions to NATO, highlighting the fact that Estonia is one of five allied countries to meet or exceed the goal of spending two percent of its GDP on defense. 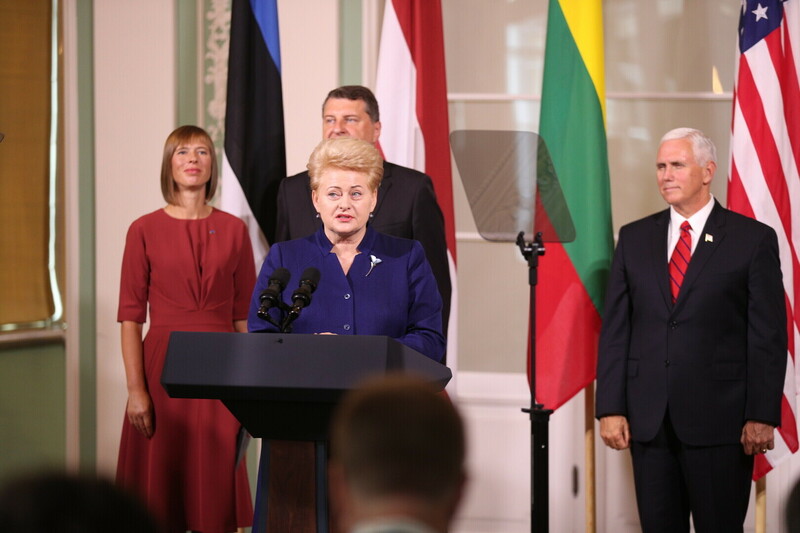 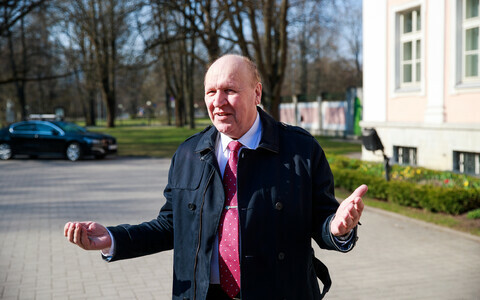 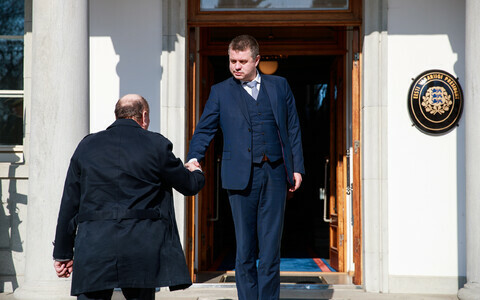 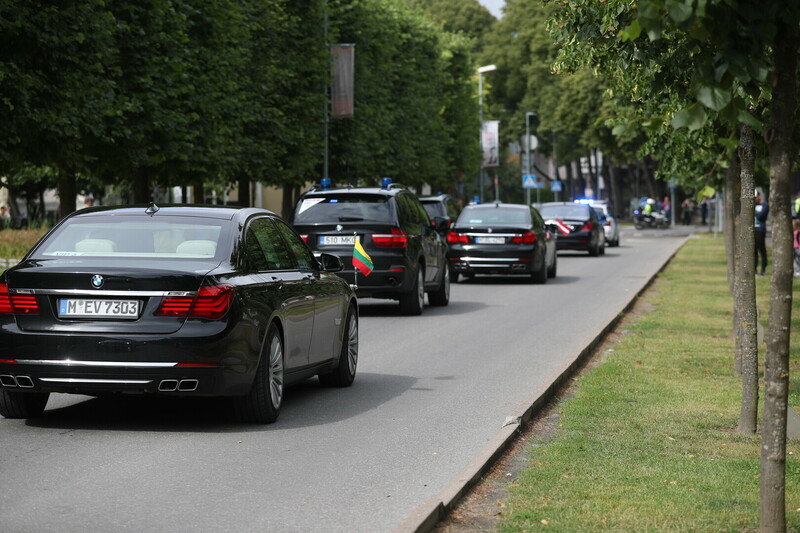 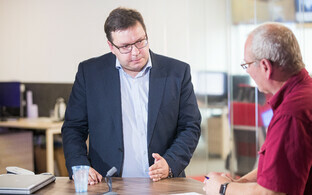 He also said that he was pleased to note that Latvia and Lithuania will also meet this goal by the end of 2018. 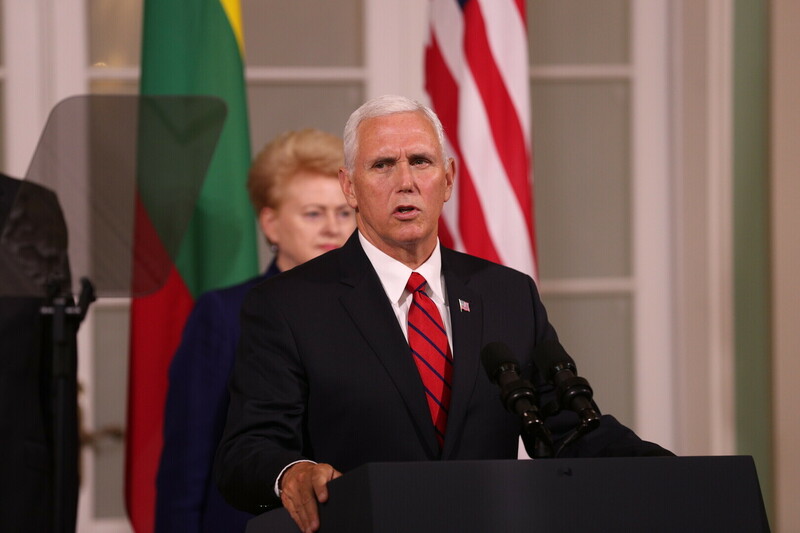 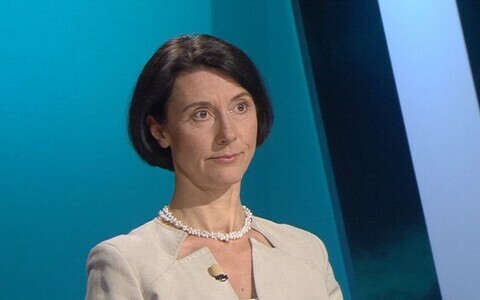 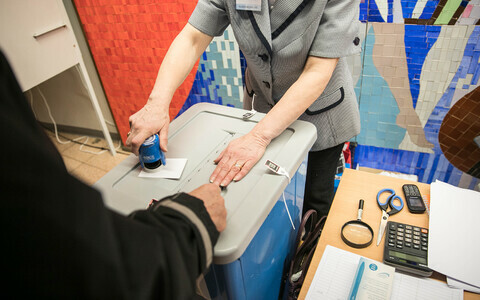 "The Baltic states are leading by example," said the U.S. vice president, highlighting the three countries' contributions to various NATO missions. 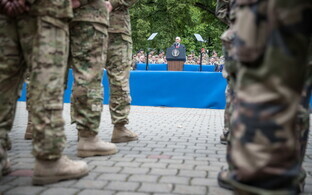 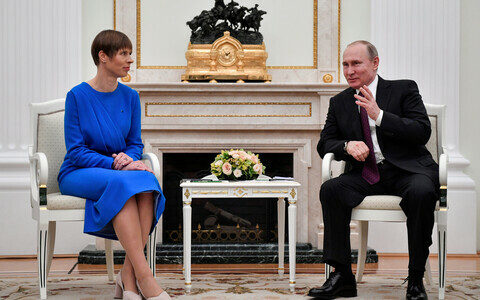 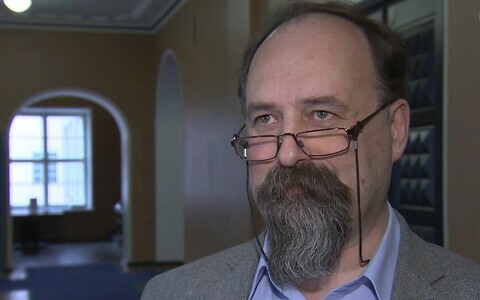 He noted that a strong and united NATO is crucial due to "the specter of aggression from your unpredictable neighbor to the east." 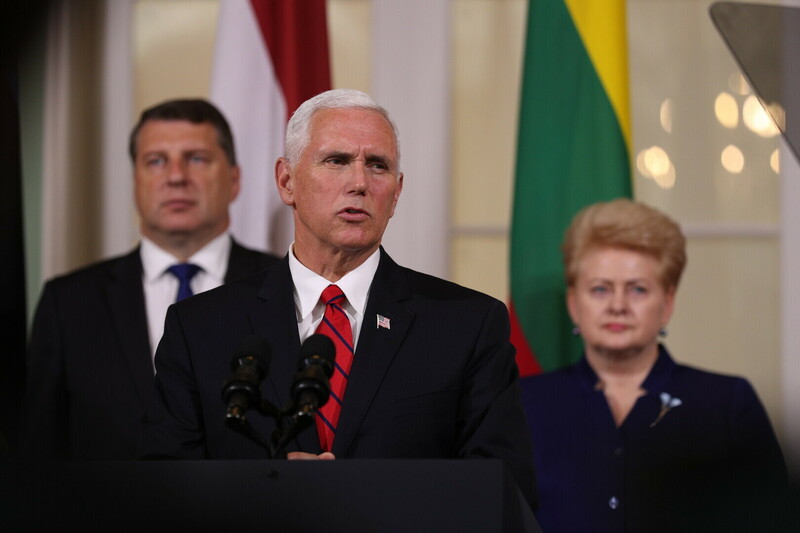 Pence also stressed that during Trump's term of office, the U.S. would remain against the use of force, threats or intimidation against the Baltic states or other U.S. allies, and confirmed that the U.S. is committed to NATO's Article 5. 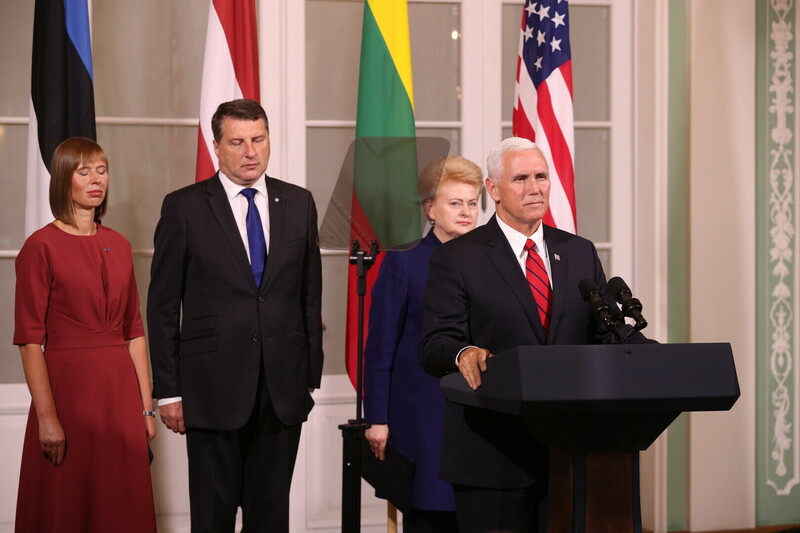 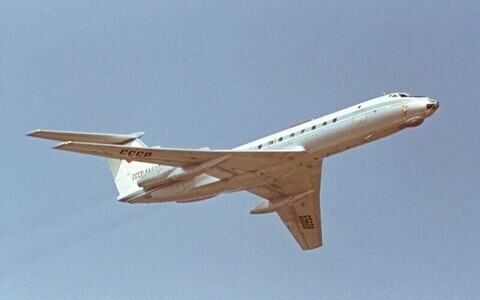 The U.S. vice president admitted that the U.S. hopes to improve relations with Russia, but affirmed that recent diplomatic action taken by Moscow would not deter the U.S.' commitment to its own security or that of its allies or other "freedom-loving nations" around the world. 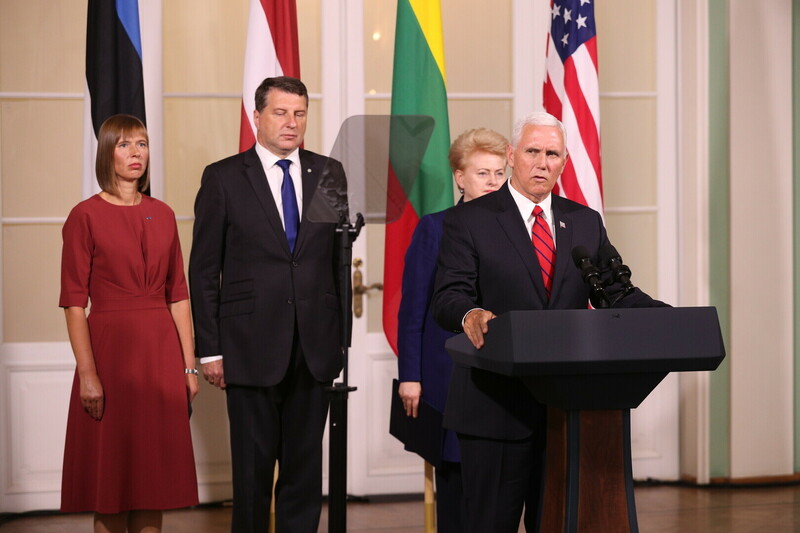 "Today, the bond between the United States and the Baltic states of Estonia, Latvia and Lithuania is strong, and under President Donald Trump, and with the leadership of these presidents gathered here, I know our bond will only grow stronger as time goes on," Pence said.